Six months after my son’s birth I moved home, where I felt like a foreigner. Everything had changed, my body, my heart, even my soul. I might have been a junior in high school, but I felt old, and worn, and damaged, and yet, there was the tiniest bit of hope in my heart. I was still a mess in many ways, but I clung to the little bit I knew about God’s love and forgiveness. I remembered one guy in my school who was a Christian and I asked where he went to church. I went to Mass each Saturday night and my new friend’s church on Sundays. The youth group embraced me and loved me. I found a place there that I didn’t even know existed. Nobody was quite sure what to do with a girl who didn’t know the words to “Jesus Loves Me,” and who wept each Sunday for her son, but they stood by me, prayed for me, and taught me about Jesus. They gave me my first real introduction to the Bible and my small faith grew. A year later Russ’ family came home from living overseas and returned to their home church – the church I had begun attending. From the first time I met him, I knew he was different. His faith was so big, and he was mature. He was nothing like the guys in my high school, and I was nothing like the girls he knew. We became friends, and shortly after our high school graduation we began dating. I knew then that if he asked me to marry him, I would devote myself to him for the rest of my life. I believed I wasn’t worthy of Russ, I knew I wasn’t the kind of girl his parents had dreamed would be his wife, but I also knew that Jesus loved me and maybe I could hope for something, someone, this good. In October of our sophomore year of college, Russ and I got engaged. Jesus used Russ to bring healing deep into my heart and soul – the love of Jesus reached so far into me that even in my grief over my son, I began to have hope for a life of happiness. We married after our junior year. I longed for children to fill my empty, sorrowful arms, and God in His amazing love and kindness blessed me with babies. Almost three years after we married, Sweet Pea was born, followed by Mimi, Noah, Samuel, and Isaiah (Rusty). 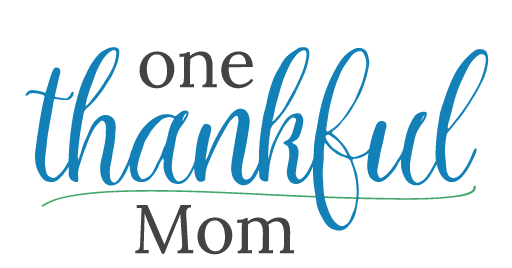 No longer was Mother’s Day a time of complete sorrow for me, God had redeemed it and there was some measure of healing. No child could replace the son I had lost, so the grief still came, but not as often. I prayed for my son and thought about him. I hoped the day would come when I would know with certainty that he was alive and well somewhere in the world. I hoped he knew how much I loved him. 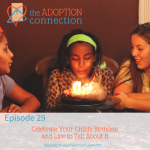 In 1995, when my son was sixteen, I found my way to an online adoption support group. This was a complicated process for a woman who had never used a computer. Windows did not exist, at least not on our computer, so Russ wrote down instructions of what I should type in order to end up on this website. My hope was that I might find my son by the time he was in his mid-twenties and, if he was willing, we could know one another. I posted the little bit of information I had and asked if anybody had recommendations of where I should start, books I should read, and anything else I should know. Your story is beautiful. 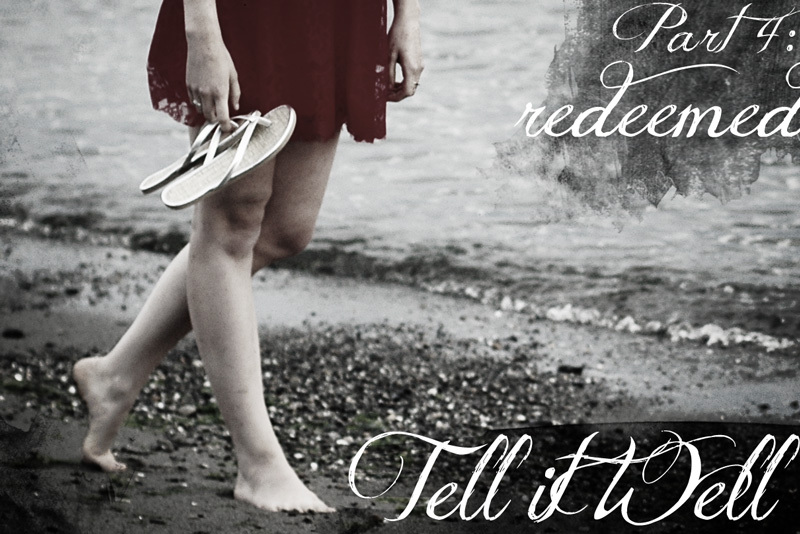 I love to see how God redeems & you are "telling it well". Thank you for sharing with us & being real. I look forward to hearing even more. I hope someday to email you to specifically share how this story has been an encouragement to me specifically. Now that you're writing the story, will you change the about me section to "I'm the mother of twelve by birth and adoption?" Oh. I do love a happy ending. Dawn, I've been thinking about that for a very long time and feel free to make that change now. Thanks for asking. Lisa- you already know how much your writing has meant to me and my family. This series has kept me going this week. You are moving mountains. thank you. What a cliffhanger! I love God's redemptive power. Thank you so much, aunt Lisa, for sharing your story. I am so blessed to have such a brave and admirable aunt! You have done so much for the glory of God and this shines through your willingness to tell such a painful story. I love you! Lisa Qualls, does it ever end this beautiful sharing that pulls my heart toward you? Once again I am humbled by the beauty and holiness of your honesty. In a world that asks us to gloss over or forget Jesus has given you strength to share and remember. You are a true inspiration to this broken woman, and a reminder that our Christ is able to shine through our most broken parts. Thank you for your story and especially for your willingness to share. This has been the most beautiful story. I can't wait to read the next part! Wow Lisa….I had no idea but I have always loved your blog, your approach to life and parenting and now I know why it comes from such a deep place. Although I am not religious in a formal sense, I have a strong Catholic background and much you say here resonates. Peace to you and I think your post will help many. Knowing you is a privilege. Thank you for sharing your heart. I had an aunt who was sent to a distant city to live in a foster home until her baby was born. What a cruel world. What a painful experience you had!! Today I woke up to my husband handing me a CD of our adopted daughter's baby pictures. A gift from the photographer at Children's Hospital that had come in the mail. I feel torn in two….If only I could have been this baby girl's mommy then. So many things would be different. BUT God has His hand over these little ones of His. He is working to redeem the past. Looking forward to the next story. . . .
Just saw mother of twelve by birth and adoption! It feels good to be free 🙂 It is right, and it is true. Special hugs to my son, Nick, today. It does feel good to be free 🙂 So glad you felt ready to make this little/huge change. I saw his comment on your first post and your reply and wondered if that was who he was :-). Thanks so much for writing this. Looking forward to reading the rest. Thank you, Sarah Jane. I'll do that now. Just, thank you. Doesn't seem like enough, but, thank you. I love the mother of twelve part. That was my biggest question as I read your story over the last few days. Would you include your first child when stating how many kids you have? 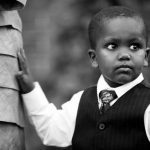 I lost a child who died as an infant and the simple question "How many children do you have?" can sometimes be hard for me. You know that all your readers who've loved you through your blog, love you even more for sharing such an important and personal part of your story. I can't believe that you are making us wait til next week to hear the rest. Blessing! Oh my. Hello teary eyes and your story is so beautiful. Thank you for sharing all the parts and writing out the hard and the redemption all in one. Thank you. Lisa, you are such a wonderful part of our family. I loved and admired you from the beginning oof knowing you. Now my tears for you are tears of joy. Because God's love is unsurpassed. Because your story is no longer imprisoned within you. Because a simple change of one number is not simple or small, because it is a person. Thanks be to God for His work in and through you! I remember the day I met you in youth group. I was 13 and had come home for a visit when Uriah was born. I knew then that you were the girl for my brother! And that you belonged in our family. 🙂 So glad to have you for a sister and a friend. What a beautiful story and you write it so wonderfully. I can understand especially the first part, as I also found myself in the same place many years ago. Though our journeys took different paths, I can see how God has wonderously worked in both our lives. He is so good to redeem us and make something beautiful. So glad He is still working. And what a joy to see how he is using your story. 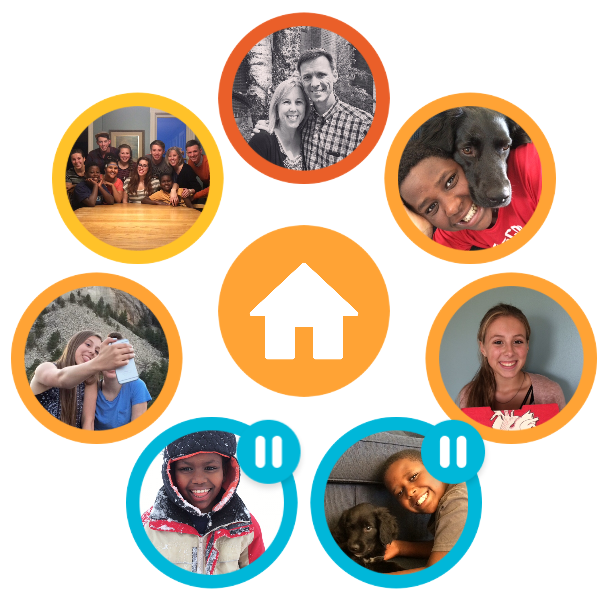 i just love hearing your story – HIS story! amazing, beautiful – His love for us! it's so BIG!!! I remember that night so well! I had no idea what to do, so I called you. A crazy rollercoaster ride was launched that night. Thank you for your friendship these many years. Love you, friend. Lisa, Praise God that He takes our broken and makes us whole! So thankful for God's story He is weaving in your life and the wonderful story of redeeming love and belonging. You are a blessing and your life a living testimony of God's love and restoration! That's for your braveness to share! Thanks so much for sharing. I am very much looking forward to part 5! Lisa, Lisa, I love you so much. Thanks for sharing your beautiful story. As I was blessed to hear parts last September, to read the full story was so amazing to read and had me balling. You are right, we need to share our stories because if we keep him inside we give God absolutely no glory. It is even more mindblowing to have the story come from you because people like to judge you from the outside and everything looks perfect there yet not looking inside and might have figured out that you are the person that you are today is because of what happened to you. I LOVED how you called it redeemed. I have a feeling that this year is the year where God takes many souls and have them tell their deepest stories they have kept inside for so long. My beloved bible teacher Beth Moore just came out with her sister's story on her blog and its mindblowing. You have to read it! Although different than yours, once again, all about REDEMPTION. Love you. Thank you so much for bearing your soul in this series. It is quite helpful to hear the story of the day your son was born. You see, my hubby is a birth father. When he was 15 he and his girl friend became pregnant. All of the sudden she was gone. Sent away somewhere and my hubby did not have a clue why. She had not told him she was pregnant before the family sent her away. She went to live at a home for unwed pregnant teens. From what I understand, she was never really given the option to keep the child unless she wanted to be excommunicated from the family. The whole stigma of having a unwed daughter with a child was not something that would be accepted in her family. When she came back my hubby had not moved on but she was so distraught over the loss that she could not handle being with him anymore. Due to her grief and not knowing the Lord she turned to drugs to sooth her ache. When my hubby was in his early-40’s he told me about his daughter. I asked him if he wanted to locate her and he was thrilled to try to find her. This meant getting in touch with the birth mother again. We tired everything to NOT get her involved with very limited details. We sought out a yahoo group that did a tremendous amount of searching for us, but what we knew was not enough to find her. In getting in touch with the birth mom it was so sad to witness a grown woman trapped in time. Without Jesus there is not healing and bitterness of soul eats away at your very being. She was still doing drugs and despite my hubby’s best efforts to show her Jesus, he was the last person she wanted to hear that from. She did fill in the blanks regarding the details we were missing but she did so with the agreement that we would share her info with their daughter once we did find her. It was only a few days for the folks in our yahoo support group to find his daughter. With the info we were given we sent her parents a letter. Eventhough she was 24 years old, my hubby wanted to respect their authority in her life. Only they would know if she would be in at a place in her life where meeting her birth father would be a positive thing. However, it was also right about the same time that Hurricane Charlie destroyed the gulf coast. Her parents were living in a hotel as their house was in an un-livable condition. We had no clue why we had not heard a response for over 6 months past sending the letter. Once things returned to normal for her parents and they had the time to sift through the ‘junk mail’, they saw my hubby’s letter. Her mom & dad are both Christians and in hearing that my hubby was a believer as well, her father encouraged her to contact my hubby. She is now apart of our family. My kids call her their sister and are thrilled that they do have the ability to be an aunt a lot sooner than anticipated (my oldest child is only 12)! The meeting of bio-mom did not go as well as our re-unification. I never understood WHY until I read your post. WIthout Jesus, there is no opportunity to heal and the pain you described seems so large. It explains so much. We do pray for the birthmother to meet the Lord and become whole again. Thank you for sharing your story and helping me to understand a bit more! Theresa, thank you for sharing your husband's story, which is now your story, too. I am so glad for your family, your husband's daughter, and her family that your reunion has been so positive. It is heartbreaking that the birthmother has not found healing – but I understand it. Reunions are extremely complicated and it sounds like yours has been very good; that is something to be thankful for! Lisa, this story reminds me of my sister. She to relinquished a baby for an (open) adoption. It was open only for a short time as she and the adopted parents didn't want duel parents in his teen years should the grass appear greener on the other side. It was a painful yet the situation she found herself in at the time was hard too. Because of this I have a huge heart for the birth mom's, as I saw my sisters broken heart.